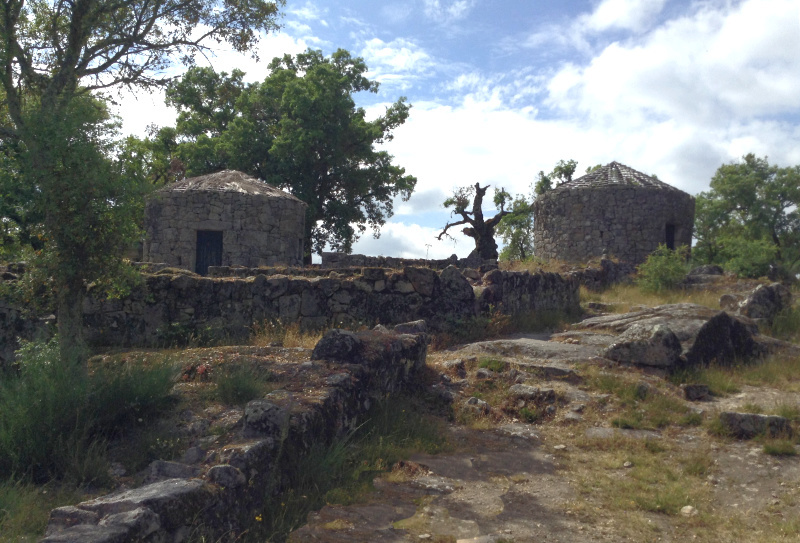 I shall be accused of romanticising the past, and perhaps rightly so, but when I visit a site such as the Iron Age settlement of Briteiros, I can't help but be astonished by the sophistication of our ancestors. 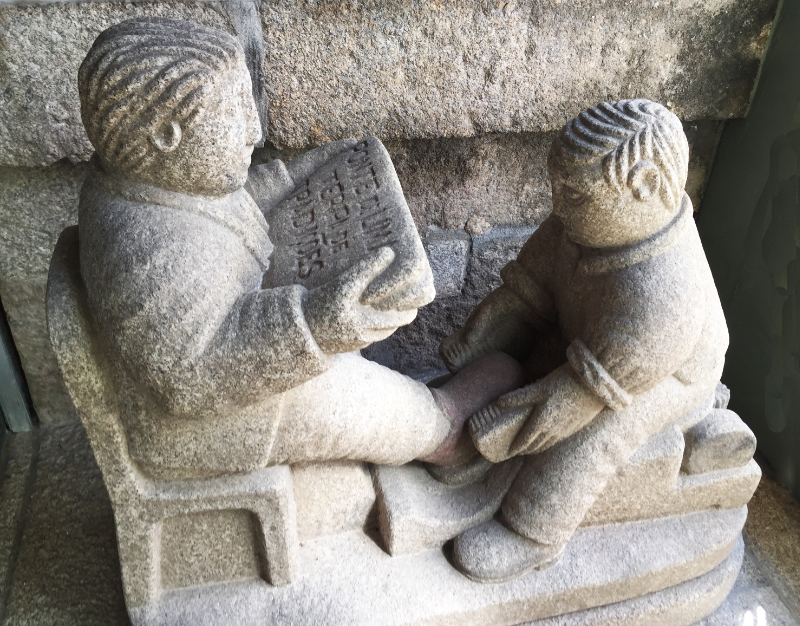 To find out why I feel such admiration for our forebears, click here. Let me take the plunge straight away so that, if you wish, you can get your criticism in early. 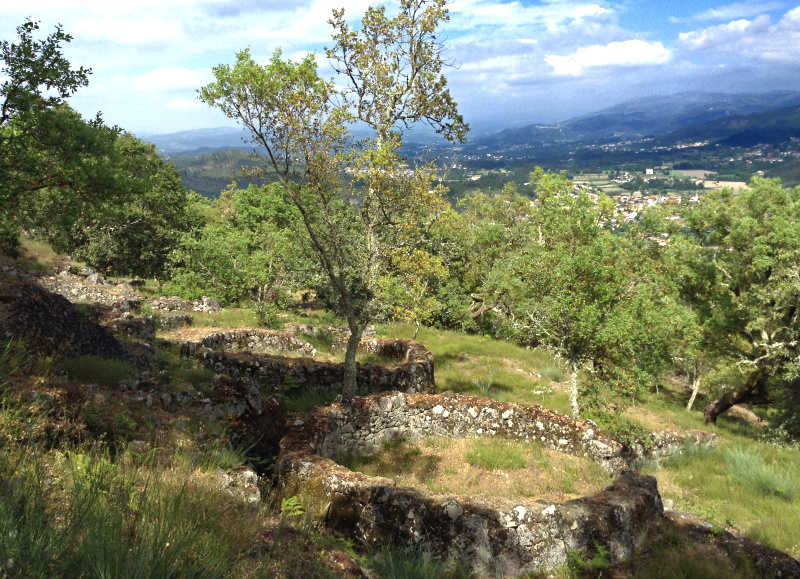 How accurate is the reconstruction of a couple of houses dating from pre-history at the top of a hill not far from Braga? I have no idea but I imagine it is likely to be fairly true given the ruins that are left. To me, the foundations in the picture belonged to a once solid house, even though it was small and with no divisions. It was clearly built to last and was probably passed down through generations. Inside it at night you could feel safe from wild animals – no wolf could huff and puff and blow this house down as happened in children's fairy stories - and you would be protected from inclement weather. Curiously, the same skills, the meticulous construction of elegant, dry stone walls, can be seen employed everywhere in the north today. Perhaps there is an unbroken line of knowledge passed down the millennia from those ancient ancestors. We would probably miss windows filled with glass, certainly yearn for modern sanitation, and perhaps we would have found the houses smoky if cooking were performed inside in cold, wet weather, but I have seen far worse dwellings in the slums of towns in the developing world. I would rather live here in those days than in the orange box walled and corrugated iron roofed shacks of today. Of course there were dangers other than attacks from wild animals. The location, on top of a hill with a good view of the surrounding land, would probably indicate that in the not too far off distance there were neighbours enviously eyeing up what you had. Today much of this view is blocked by trees, as it may have been in those days, but I suspect the iron age folk cut down the trees for firewood, and perhaps for furniture. I guess we've all seen pictures of crude tables and benches made from tree trunks. I imagine those ancient folk were no keener on having cold, wet bottoms from sitting on the floor than we are. 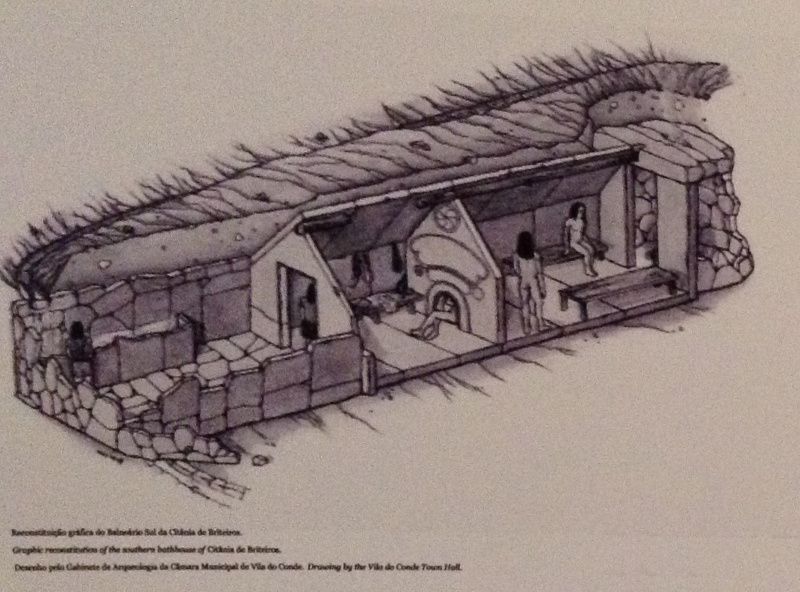 In addition, massive walls have been erected to provide a defence for the settlement. 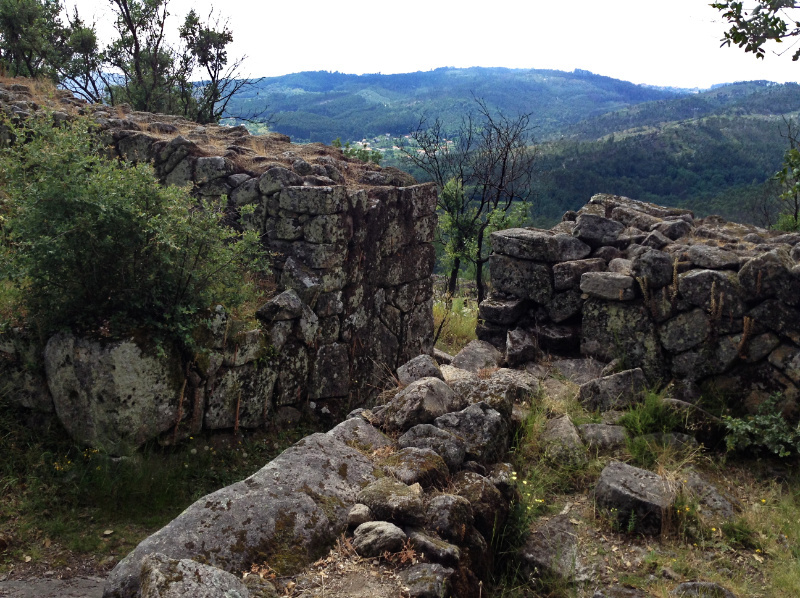 If there were enough warriors to man these walls, Briteiros could not have been captured easily. These are not the only walls that were built for defence, there are other outlying ones. 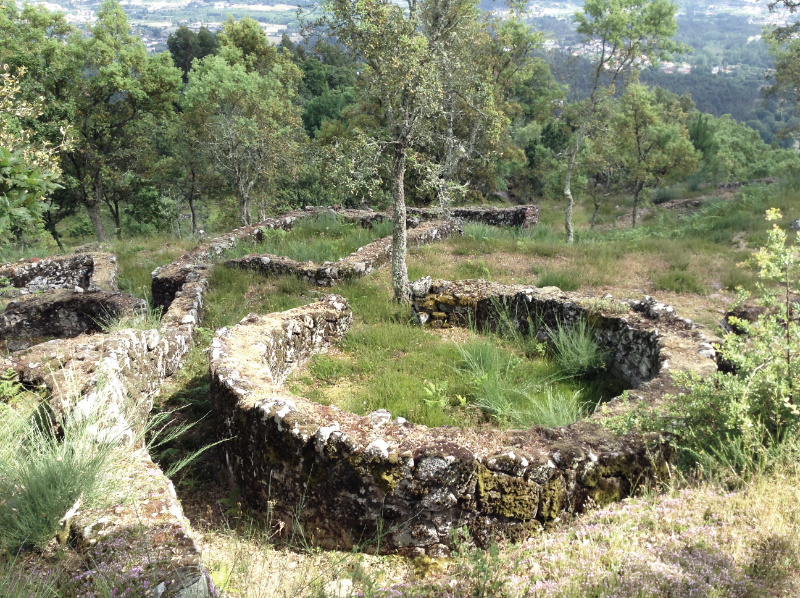 Whether Briteiros was the London or Lisbon of its area and day is questionable but this was, for its time, an important settlement amongst many smaller, once-inhabited, iron age sites nearby. If you want to know them, the names of the different peoples who lived in the northwest of Iberia are mentioned in Roman documents. 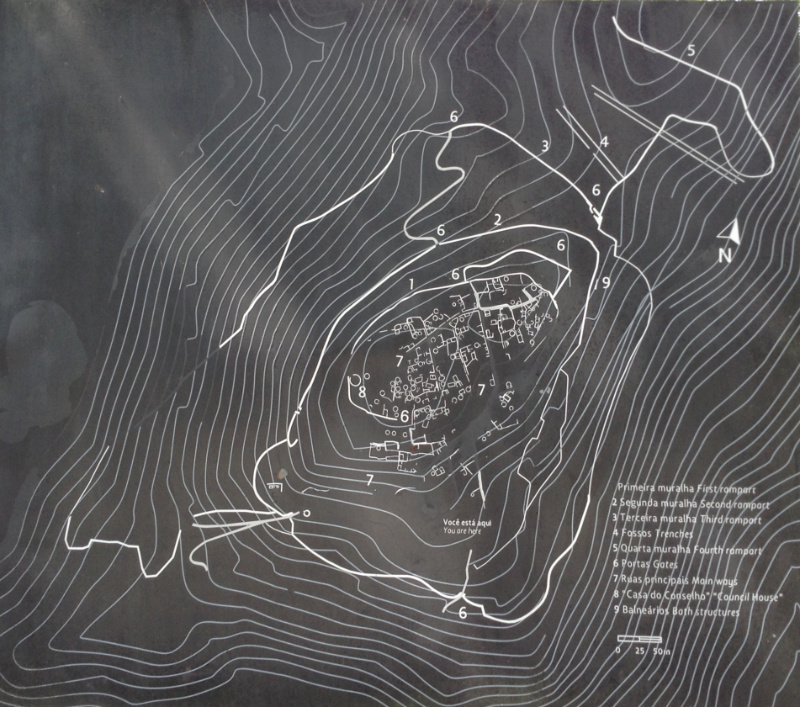 The map below gives some idea of the size of the hill top settlement, the whole area covering some 24 hectares and the main inhabited area measuring 7 hectares. Of course living on a hill has its disadvantages. Everything would have had to be carried up the hill either using people power or perhaps draught animals. This would have been laborious: though some of the roads have been paved in an effort to smooth them, many are very rough and some have crude steps so man – or more probably for many tasks such as carrying water – woman power must have been the order of the day. 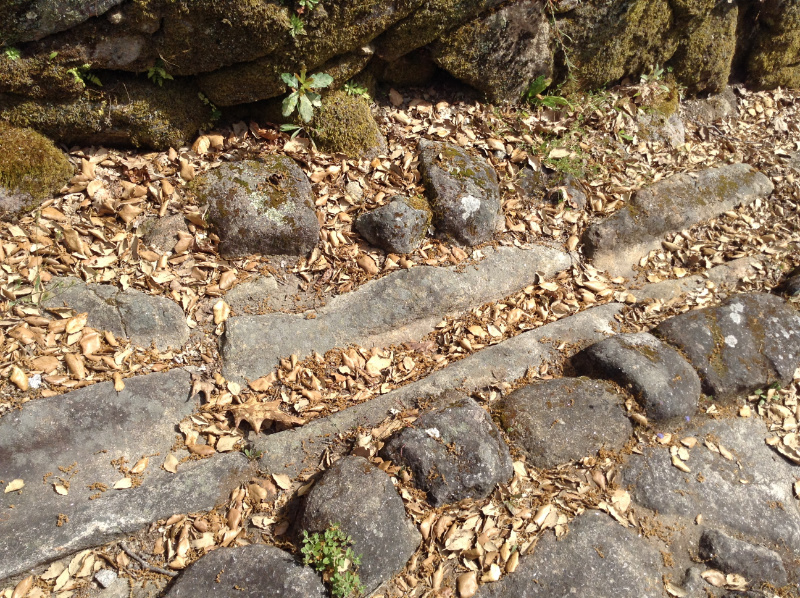 Impressively, given the period in which Briteiros was built, there seem to have been water channels or some kind of drainage in some of the streets. Life, however, cannot have been one long round of drudgery; hunting, cooking, carrying water and so on. There was clearly time for the finer things and probably some religious rituals. In a small nearby museum there are some lovely examples of stone carving which once individualised and beautified the doorways of the round houses. 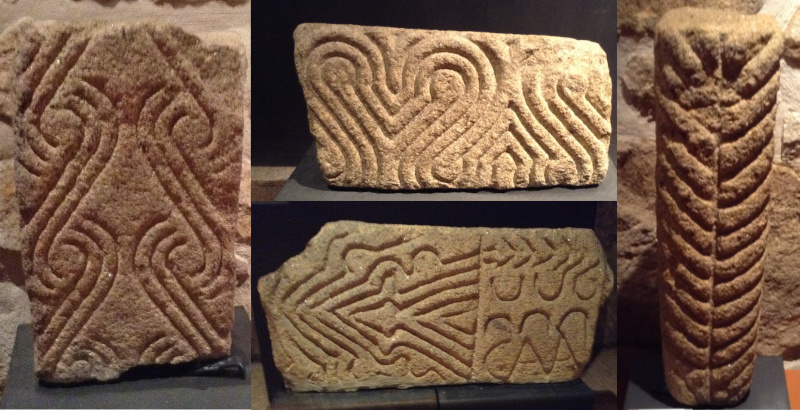 The most outstanding examples of worked stone, though, are the two 'pedras formosas' – literally beautiful stones. These enormous slabs, which it must have been difficult to move and erect, were placed in two bathhouses, one to the south and the other to the northeast of Briteiros. The southern one, shown below, is still in situ. 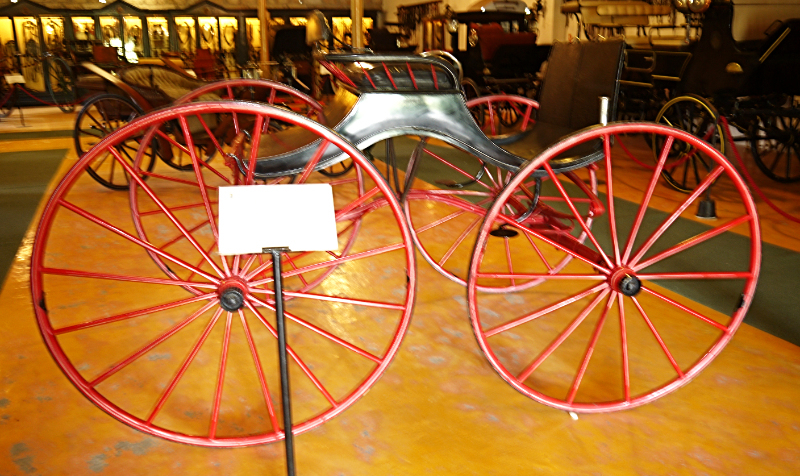 The other is in the museum. It is thought that these buildings were ritual spaces, though they look like saunas, middle eastern baths or indeed Roman baths to us. According to the description in the museum there was an atrium where the participants undressed and then passed into an antechamber from which they could access a steam room. 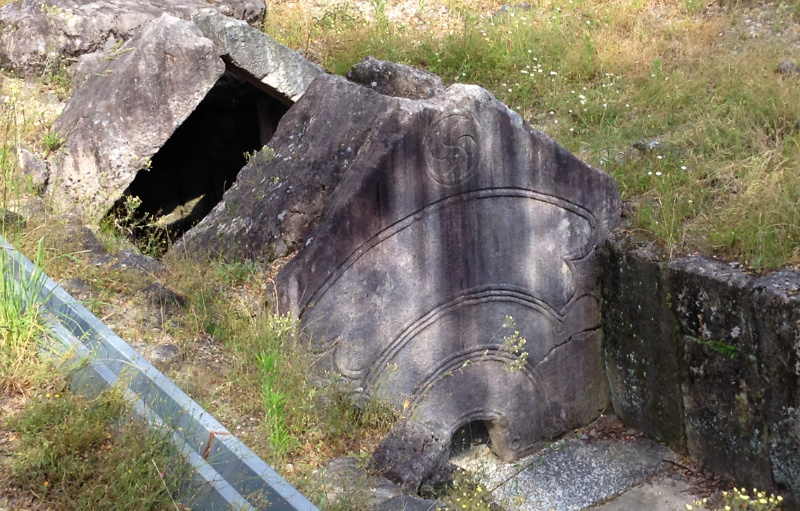 Clearly obesity wasn't a problem in the Iron Age as the semi-circular hole at the bottom of the pedra formosa is tiny! It makes me think of the tight spaces speleologists wriggle through when potholing. 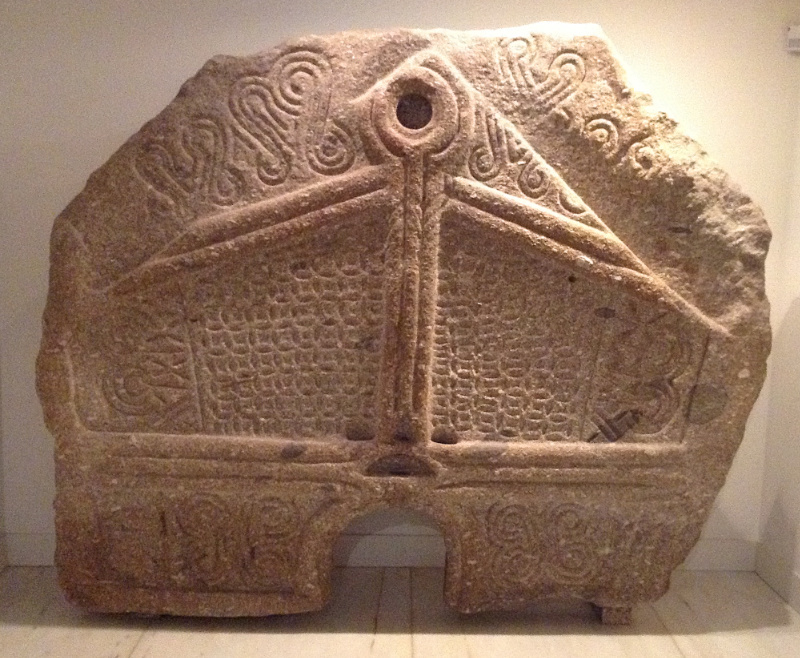 Below is the pedra formosa in the museum. Made from a single slab, this stone is almost three metres wide, two metres high and weighs approximately five tons. The hole is no bigger in this one either. At the end of the inner chamber was a furnace in which quartzite or granite pebbles were heated up. Water was then thrown over them to create steam, which could not easily escape. It is thought that after perspiring for a while the participants went to a cold tank in the atrium to cool off and finally returned to the antechamber where they would oil themselves all over. It sounds rather like the Roman caldarium and frigidarium though those were not, as far as I know, of any particular ritual significance; they seemed more like a pleasure centre and gossip exchange. Mind you, who knows what the inhabitants of Briteiros actually did? It would be surprising indeed if gossip were absent from their culture! One fascinating aspect of this settlement is that the archaeologists claim not to have found anything resembling an early palace. There must have been some kind of leadership since people need to be organised to build defensive walls and, if fighting invading tribes was a part of life, as indeed it must have been given the location and massive walls, then some kind of war machine with a chief would have to have existed. Elsewhere, indeed, we have seen elaborate burial sites so some people were clearly highly valued by those early communities. Perhaps what we might call conspicuous consumption was not particularly prized. Were these people similar to the Scandinavians of today with a relatively flat social structure rather than a steep hierarchy? Isaac Newton said that if he could see far it was because he was standing on the shoulders of giants. Looking at the relative sophistication of Briteiros it seems to me that we all too easily forget that those giants go all the way back into prehistory. They were the men and women who, with limited means at hand, invented the wheel, smelted copper, tin and iron, learned how to till the land and grow crops.... Was this not seeing far from where they stood? In the lifetimes of my father and me people have invented aeroplanes, moving pictures, computers, the internet and space travel. The scientists who follow us will think that truly we were giants striding over the earth. But when it comes to social progress, perhaps those ancient people were the giants, creating a fairly equal kind of society where no one lived in luxury while others lived in wretchedness. We, by contrast, are perhaps of such short stature that those following us will wonder that after a couple of millennia and more we couldn't manage things better. The place looks beautiful. It always relief me when I look close at natural beauties. They have the power to heal all our pain and also the can enjoy the happiest moment of our life also. 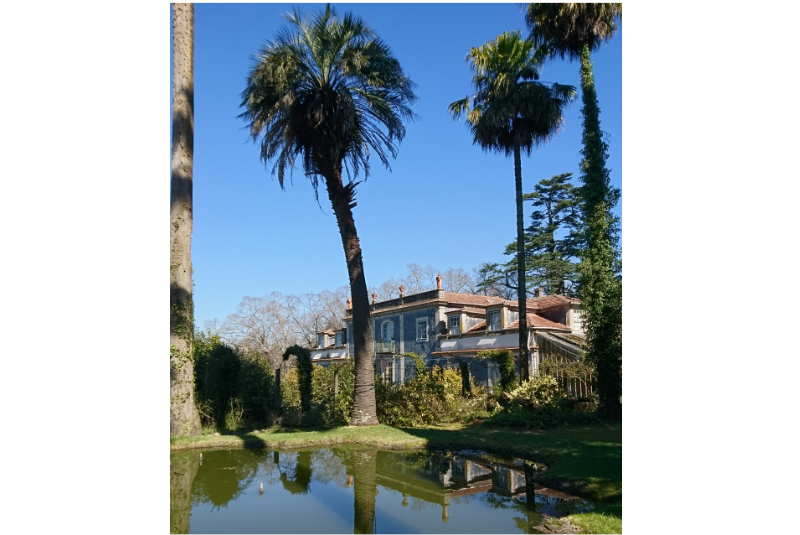 Nature does indeed sooth us and in Portugal there is such a wealth of natural beauty, isn't there? 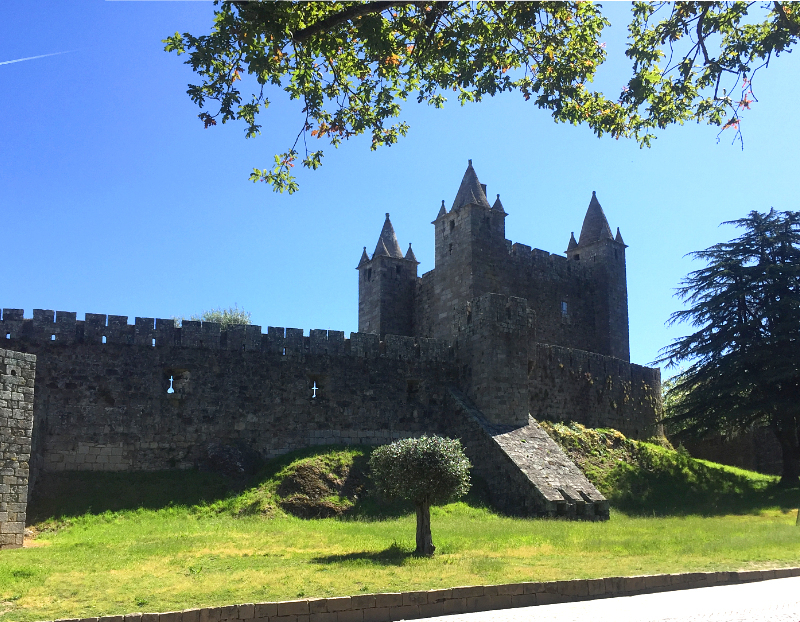 So few foreigners know the hills of the Minho, the mountains of the Peneda Geres and the Serra de Estrela, the plains of the Alentejo and the wild seas coasts of the west because they gravitate to the beaches of the Algarve. They don't know what they are missing! 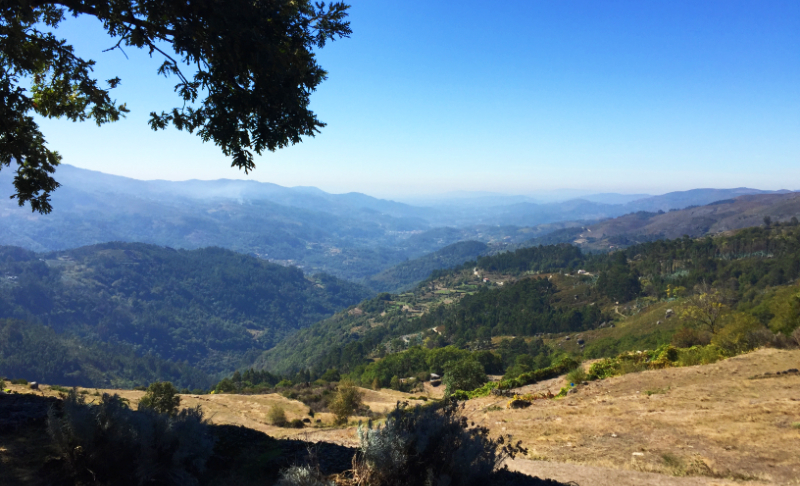 Portugal is a country of splendid views and kindly people. I am lucky to be able to spend time here.